At 23.17 hours on March 17, 1941, convoy SL.68 was ordered to alter course to port. Unfortunately, SS Clan Macnab altered course to starboard and collided with the Norwegian tanker SS Strix. At daylight, Clan Macnab reported that she was taking in water and at 13.16 hours on March 18 she was detached to make her way independently for St. Vincent. Shortly afterwards, when she was out of sight of the convoy, she transmitted an SOS signal to say that she was sinking and was taking to the boats. HMS Calendula was depatched but could find no trace of either the ship or survivors but HMS Crocus had already responded and rescued thirty-six survivors. Another boat with thirty to forty men was under sail making for St. Vincent. The position was 17.13N, 21.22W (E. of the Cape Verde Islands). Sixteen crew members lost their lives. Two crew members are commemorated on Tower Hill, Panel 30 and the Lascar seamen on the Bombay/Chittagong War Memorial. RICE, Third Engineer Officer, JAMES, S.S. Clan Macnab (Glasgow). Merchant Navy. 17th March 1941. Age 30. SWIFT, Purser, WALTER, S.S. Clan Macnab (Glasgow). Merchant Navy. 17th March 1941. Age 49. ABDUL, Seaman, S.S. Clan MacNab (Glasgow), Indian Merchant Navy. 17 March 1941. Age 43. ABDUL RAHIM, Seaman, S.S. Clan MacNab (Glasgow), Indian Merchant Navy. 17 March 1941. Age 30. ABDUL RAHMAN, General Servant, S.S. Clan MacNab (Glasgow), Indian Merchant Navy. 17 March 1941. Age 52. ABDUL RAZAQ, Seaman, S.S. Clan MacNab (Glasgow), Indian Merchant Navy. 17 March 1941. Age 42. AKRAM ULLAH, Fireman, S.S. Clan MacNab (Glasgow), Indian Merchant Navy. 17 March 1941. Age 59. FARKIT MIAN, Seacunny, S.S. Clan MacNab (Glasgow), Indian Merchant Navy. 17 March 1941. Age 31. HAKIM ALI, Tindal, S.S. Clan MacNab (Glasgow), Indian Merchant Navy. 17 March 1941. Age 48. IBRAHIM KHAN, Seaman, S.S. Clan MacNab (Glasgow), Indian Merchant Navy. 17 March 1941. Age 37. JALAL AHMAD, Fireman, S.S. Clan MacNab (Glasgow), Indian Merchant Navy. 17 March 1941. Age 35. JANGI, Cook, S.S. Clan MacNab (Glasgow), Indian Merchant Navy. 17 March 1941. Age 48. NAZIR AHMAD, Seacunny, S.S. Clan MacNab (Glasgow), Indian Merchant Navy. 17 March 1941. Age 41. 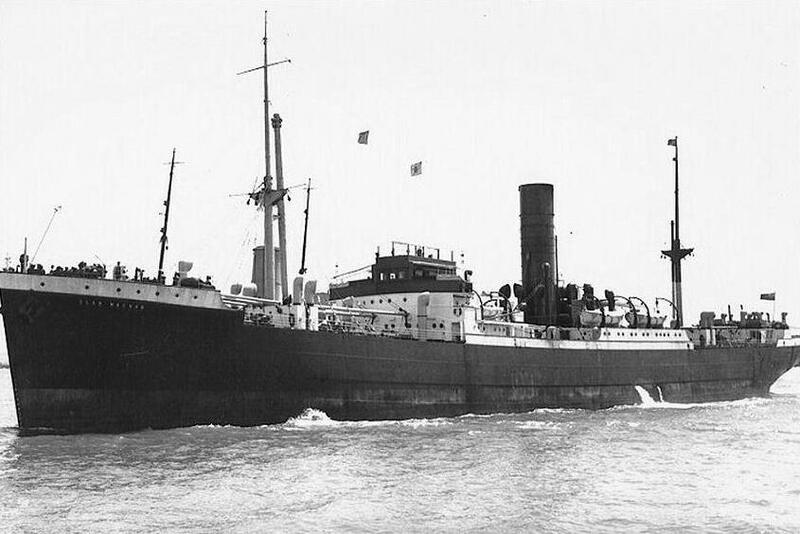 SAMRU, Tindal, S.S. Clan MacNab (Glasgow), Indian Merchant Navy. 17 March 1941. Age 54. SAYID ALI, Fireman, S.S. Clan MacNab (Glasgow), Indian Merchant Navy. 17 March 1941. Age 37. TULA MIAN, Fireman, S.S. Clan MacNab (Glasgow), Indian Merchant Navy. 17 March 1941. Age 47.